American Samoa: Even by turn-of-the-century mainland standards it was a rather grandiose residence for a Naval Station Commandant (with10,400 square feet of floor space). 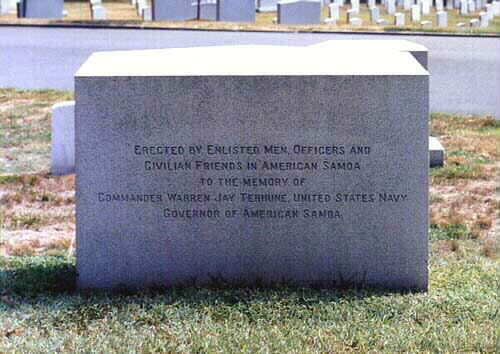 Its conceiver, the first Officer in Charge of USNST, Commander Benjamin Tilley, wrote to his superiors in 1902 that if he were to be appointed governor of American Samoa, he should be given the proper establishment, with servants, etc., that should properly go with such a position. That's proud. Togotogo Ridge in Utulei (already renamed Observatory Point by the Navy) was leveled and graded from eighty-five feet to sixty feet in elevation as a site for the residence. Completed, the building dominated the harbor. While all other buildings stood on low-lying ground near water level, this large, airy, white house stood high above the rest. 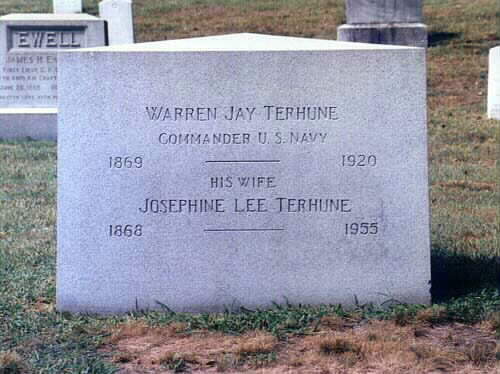 Commander Warren Jay Terhune, originally of New Jersey, was commissioned as American Samoa's 13th Naval governor on March 18, 1919, and took office on June 19. He was immediately beset by many difficulties involving taxes, prohibitions and restrictions on palagi-Samoan marriages, and demands by an emerging Mau (some reasonable and some not). His ordeal was worsened by declining health, by his apparently puritanical nature, and by a disloyal executive officer, Lieutenant Commander C.S. Boucher who sided with the Mau and conspired against him. Governor Terhune sought (and got) Boucher's relief. His replacement, Commander A.O. Kail, proved to be a carbon copy of his predecessor, siding with the Mau and with other dissidents and intriguers. 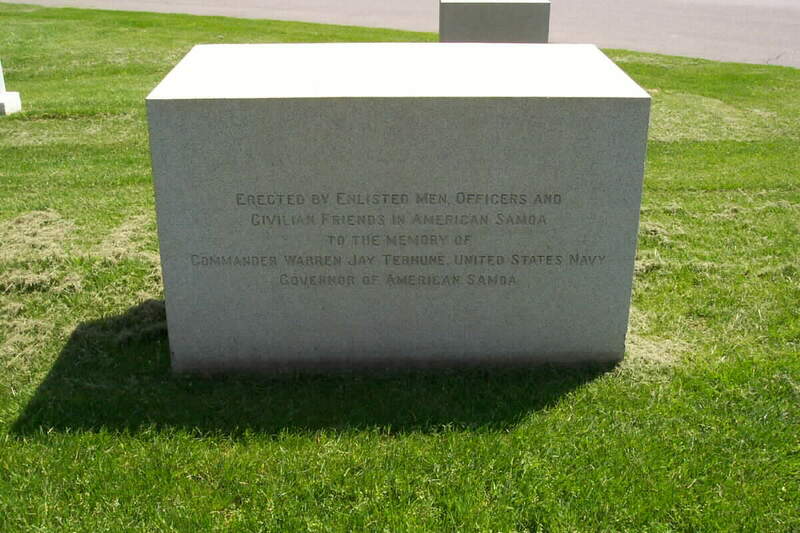 Hearing of these difficulties, Secretary of the Navy Joesphus Daniels appointed a court of inquiry, headed by Captain Waldo Evans, and ordered it to proceed to Samoa aboard the battleship USS Kansas. 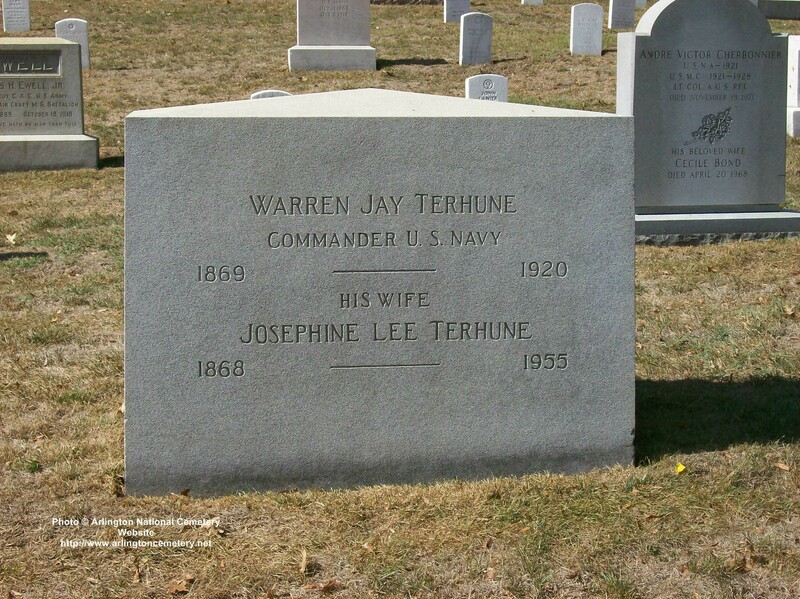 While the court was en route, Terhune shot and killed himself on the second floor of Government House, in "a room commanding an unobstructed view to the south through the entrance to the bay." Seven days later, Captain Evans was designated as his successor. 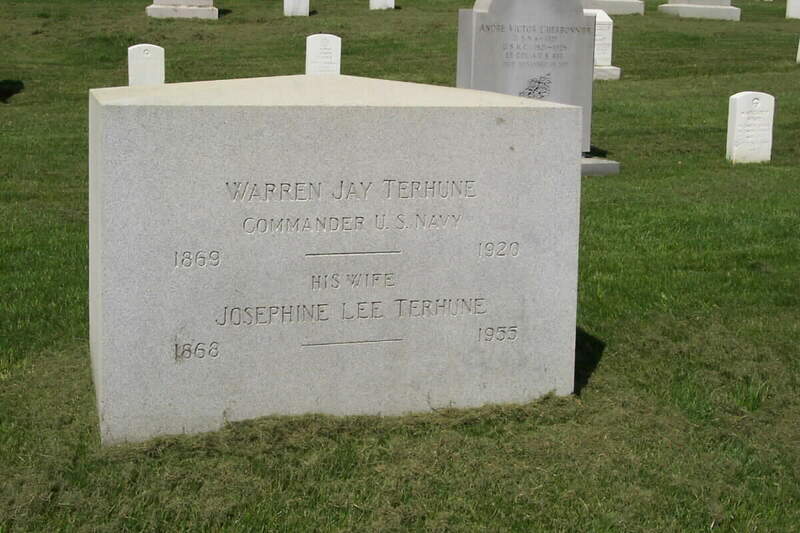 Warren Terhune was the only Governor of American Samoa to die in office. His ghost is rumored to stroll about the grounds of Government House.